Edward Voccola & Co. LLC is a trusted hard money lender and advisor that has provided investors with quick access to short and immediate-term commercial, investment real estate, and construction loans for over 15 years. In today’s financial environment where quick execution & results are paramount, traditional banks are unable to provide financing in time due to recent governmental regulation (i.e. Dodd Frank Act). 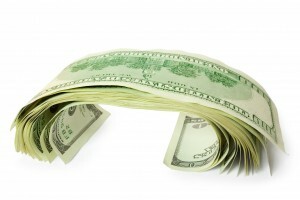 A private lending hard money loan can be the right solution. With a hard money loan, you get the funding you need when you need it “now.” So if you require cash in a hurry, the loan specialists at Edward Voccola & Co. LLC have you covered. We offer commercial, real estate, or construction project financing that traditional lenders cannot match. At Edward Voccola & Co., LLC, we’re your source for hard money loans. We offer the private funding options you need to acquire your commercial, investment property, or construction project because we work differently than a bank, we’re able to offer a quick, hassle-free closing. Call us today to learn more about our hard money loans and find out whether private funding is the right option for you.